It was a productive 3-day activity of Bernice Guingona and Friends at Estero de Pandacan, Concordia and Santibañez. 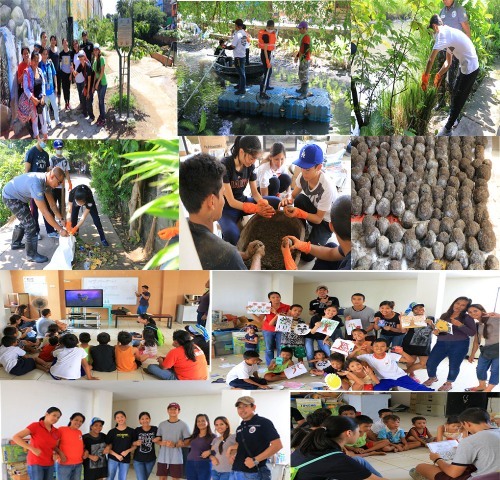 Recently, ABS-CBN Lingkod Kapamilya Foundation’s Kapit Bisig Para sa Ilog Pasig (KBPIP) together with the Pasig River Rehabilitation Commission (PRRC) and the River Warriors, Bernice and her friends went through the Estero tour & orientation on first day , bokashi balls making, Estero de Paco clean-up on second day and art workshops and children activities on the latter day . “Take care of your home, because it’s all that you’ve got and you have the power to make it or break it.”-Bernice Guingona articulated. Estero de Paco kids have also enjoyed the Hiraya Manawari film showing , storytelling, art workshop, games and painting with the group. The group has planned to be the future River Warriors Youth of KBPIP.